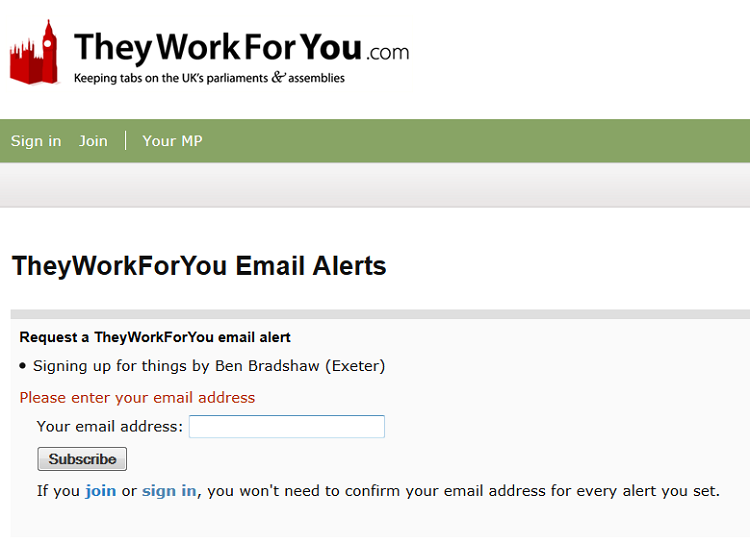 Our site TheyWorkForYou publishes everything said in Parliament. But how do you know when they’re debating the stuff that really matters to you? Easy – you set up an email alert. 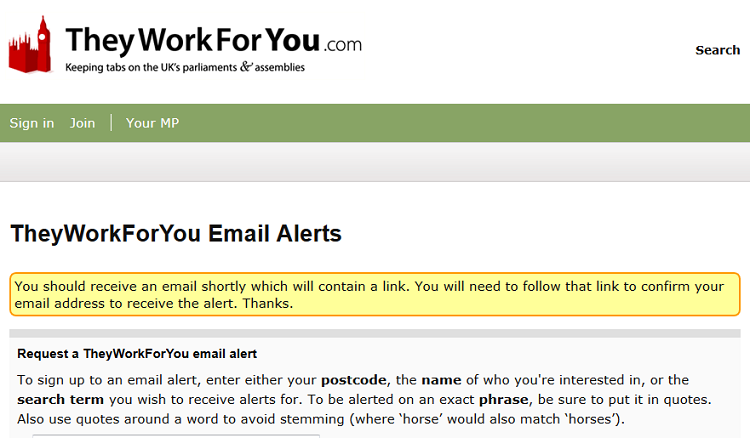 You can ask TheyWorkForYou to email you whenever a chosen word or phrase is mentioned in Parliament, or when a specific person speaks. Then, once a day, our automated processes check to see whether your keyword has been mentioned, or your chosen politician has spoken, and if so, we send you an email. How might this service be useful to you? …and so on. Everyone has their own topics of interest, and most topics are debated in Parliament at one time or another, so we think there really is an alert for everyone. There are two different types of alert: you can choose to receive an email every time a specific person (most likely your own MP) speaks, or to receive one whenever a specified word or phrase is mentioned. In this post, I’m going to walk through the process of setting up an alert for when your MP speaks, and then in subsequent posts, we’ll look at alerts for keywords, and how to manage your alerts. If you are logged in to the site, that’s it – you’ve subscribed, and you don’t need to do anything more. If you are not logged in, don’t worry. You don’t actually need an account in order to sign up for alerts. Now all you have to do is wait for our emails to come into your inbox. Don’t worry if you want to stop them at any time – there’s a link at the foot of every alert email which you can follow to pause or delete your alerts. Rather subscribe to a topic? 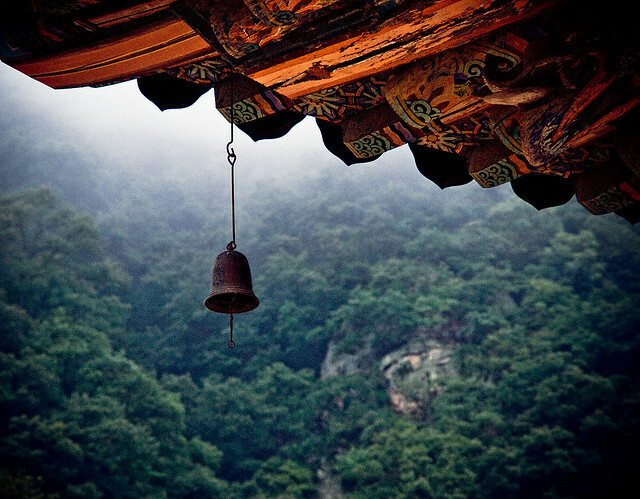 Then you need this blog post.